Well, January has come to a close, 2018 is already 1/12 over, and we’re rapidly speeding toward Valentine’s Day. More importantly, it looks like we all survived another week of work, school, life, friends, family, and more. I say that deserves a self-congratulatory pat on a back and — depending on what the weather is like where you live — a cup of hot cocoa. Aussies, you may want to swap that out for something cool and refreshing. 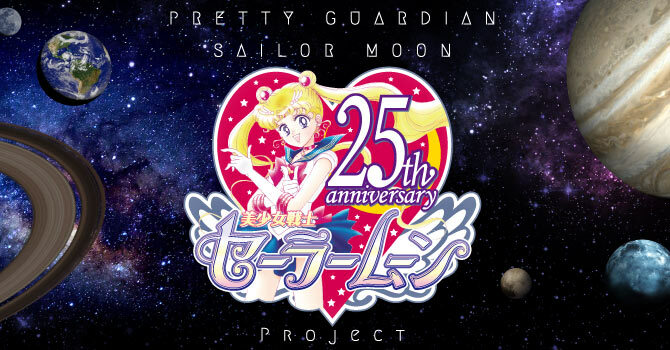 Join along as I take a look back over the latest Sailor Moon news. It’s been a wild ride! In addition to our run of weekly episode anniversaries, January 28 marked the birthday of Kaneto Shiozawa (born Toshikazu Shiozawa),2 voice of the Black Moon Clan’s Prince Demande. 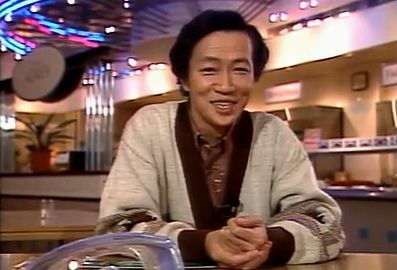 In addition to his performance as the evil prince, Kaneto was also known for his roles as Namu and Tenron in the original Dragon Ball, Kikyo in Weiß Kreuz, and Yasutaka Fukuoka in Gatekeepers. He sadly passed away on May 10, 2000 of a cerebral contusion at the age of 46. No matter what you may think about the character, he did an amazing job adding an unsettling touch to his performance as Prince Demande. Now that we’ve covered the past, it’s time for us to take a look at the present! 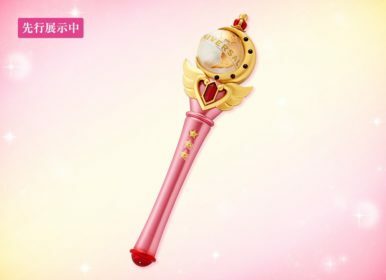 Probably the most important part of this announcement is that we finally get some clarity on what the story of this Sailor Moon attraction is going to be about. 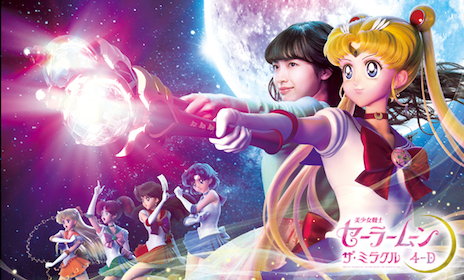 This will be a roughly 20-minute, 3D-animated story that follows the Sailor Soldiers on an adventure set in the Universal Studios Japan theme park. Honestly, I’m not totally sold on the newly-released 3D art, since it looks kind of… unnatural? Uncanny? Creepy? But I see where they’re coming from here. Considering they’re doing a 3D 4D adventure and we will probably be seeing the characters from a variety of angles, there probably wasn’t much of a choice but to do it this way. This isn’t really anything new since we knew that the express passes would be going on sale near “the end of January,” but it was a surprise that the announcement went live at 11:58am on January 30th (Japan time) and the tickets went on sale promptly at noon. In addition to needing a ticket to enter the Universal Studios Japan theme park, these express passes act like Fast Passes at the Disney parks to speed up entry to the attraction. Up for sale are the Standard pass (2,000 yen) and the Special Pass (4,400 yen), which both come with some limited edition swag. It wouldn’t be an anime tie-up event without yet more exclusive items! 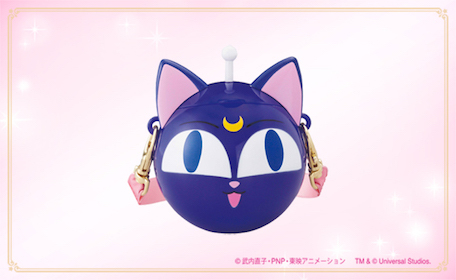 This newly announced Sailor Moon swag comes together with the purchase of either a Standard or Special pass. But that’s just the exclusive stuff that comes with the passes. The USJ announcement also unveiled new merchandise available for sale at the park! One of the things that I really appreciate about this USJ event is that not only are they releasing a lot of new products, but most of the products being put up for sale aren’t explicitly branded with the Universal logo all over it — with the exception of the Cutie Universal Rod, which is a cross-branding abomination in my eyes, but I’ll say no more on the subject. Read also: 11 Questions on My Sailor Moon Favorites! Since we’re still about a month and a half out from the event, something tells me that this isn’t the last of the merchandise announcements. Looking forward to the next! And that brings us to the end of this week’s Sailor Moon news report! There were also a lot of product announcements this week, but unfortunately we’d need to move to daily news posts if we wanted to cover the continuous flow of product releases. In blog-related news, the episode guide is going well, with 10 out of 46 episodes done. Currently I’m debating if I want to release it season-by-season, which would allow me to go more in-depth on each season and to possibly cover each manga arc in the same book, or to release it all as one giant book. I’ll have to decide soon, so any feedback would be appreciated! On the Patreon front, the first monthly translation is up now (a July 1992 Animage Q&A with Usagi, Ami, and Rei), and next week will mark the completion of all of the liner notes from volume 1 of the Sailor Moon manga. Just a shameless plug, but the liner note translations are available to anyone who pledges $1 or more. ← What Information Did Naoko Share With American Sailor Moon Fans?